Bombardier has signed a contract with the government of Queensland to modify and upgrade the trains for the New Generation Rollingstock (NGR) programme. The government of Queensland is currently introducing the New Generation Rollingstock trains on the South-East Queensland network. However, it wishes some modifications and improvements to be made. 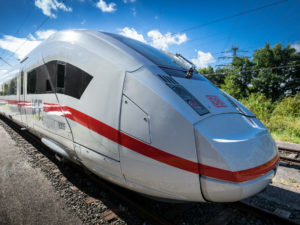 As a result, it has signed a contract with Bombardier worth 361 million AUD (255 million USD, 228 million euros) for the design, delivery and maintenance of the trains. Bombardier will deliver on this contract as the leading partner of the Qtectic consortium, which is fulfilling the NGR project. Bombardier will now modify the Queensland trains in collaboration with Downer EDI. The Queensland Department of Transport and Main Roads (TMR) has requested the modifications. For example, it wants a different toilet design. Specifically, Bombardier is to alter them to improve disability access. Each six-car train will also get a further toilet to make access for passengers with reduced mobility easier. The NGR trains will have a capacity of 964 in the six-car configuration. The trains for Queensland will also come with wifi, CCTV and LCD infotainment. An additional accessibility feature is the 12 spaces specifically for mobility aids.